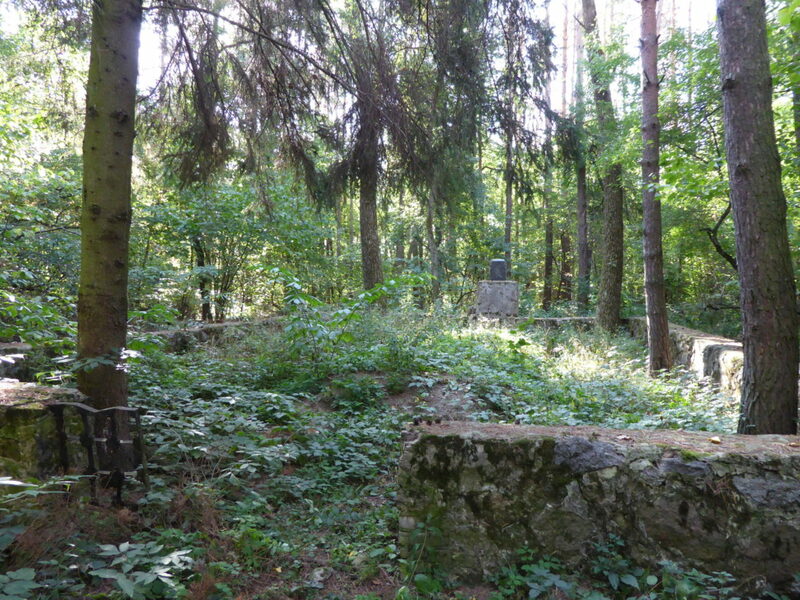 Before the war, the Jewish community of Vakhnivka consisted of about 750 people, most of whom were shot in 1942. 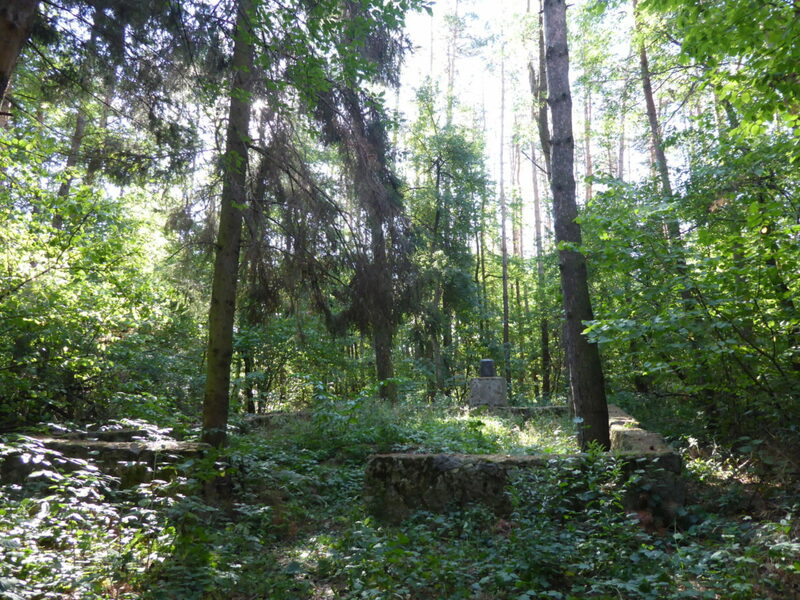 The main shooting site lies in a forest outside the village. 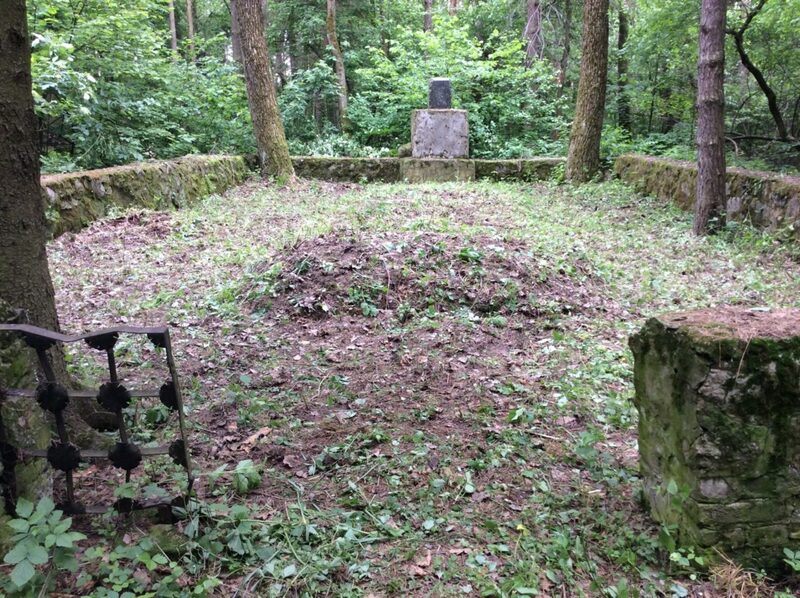 Here, in the spring of 1942, over 400 Jews were killed in a single day. 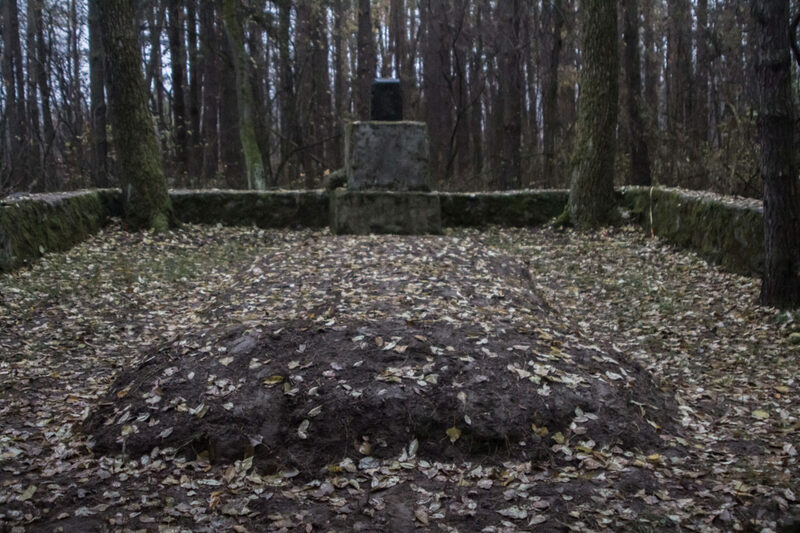 A damaged obelisk without inscription stands at the site of a mass grave. The stone wall surrounding the site is in disrepair. 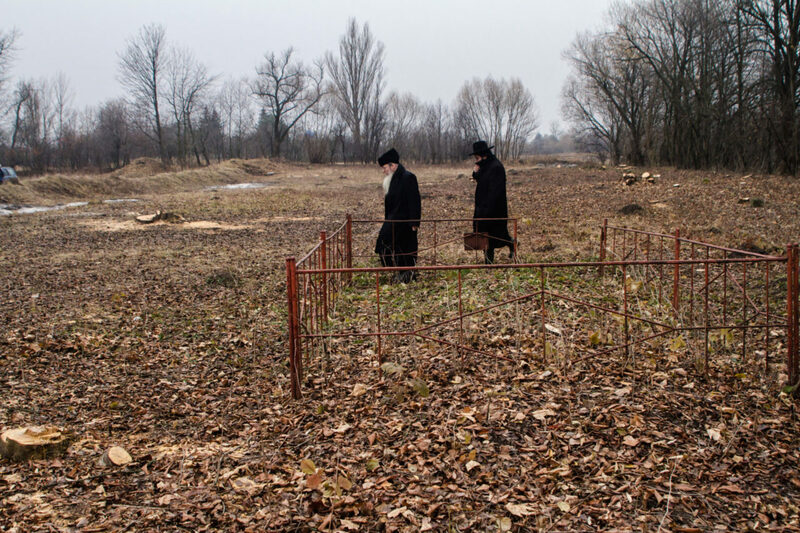 For a long time, the last Jewish woman living in Vakhnivka looked after the grave. 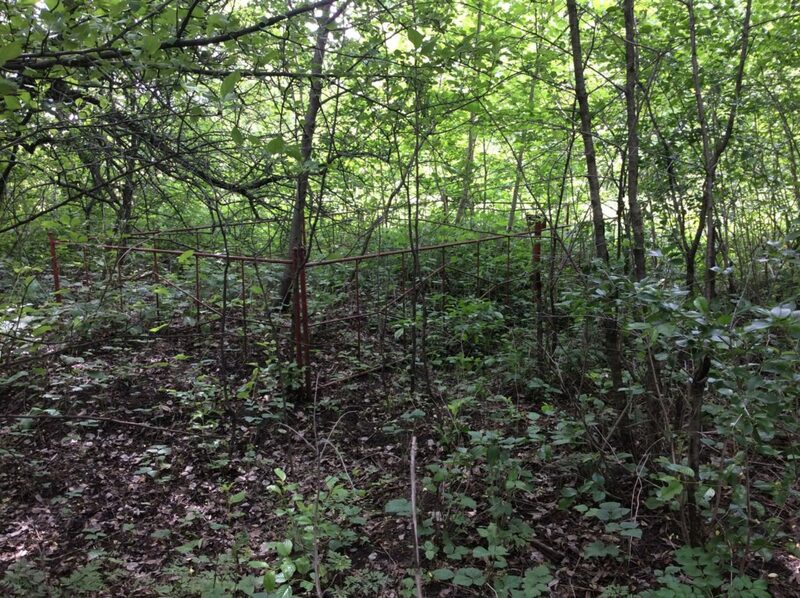 An additional mass grave with about 40-50 victims is located on the edge of Vakhnivka at a former Jewish cemetery. Individual tomb stones can still be seen here. 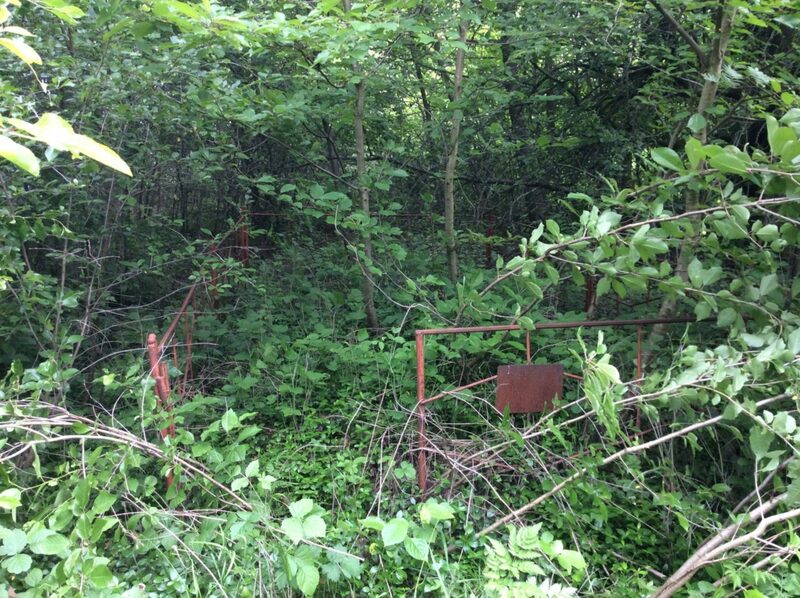 Part of the mass grave is marked by a red metal fence, but there is no information about what happened at this site.